Do you want to inject some life into the porch or deck outside of your home or business? 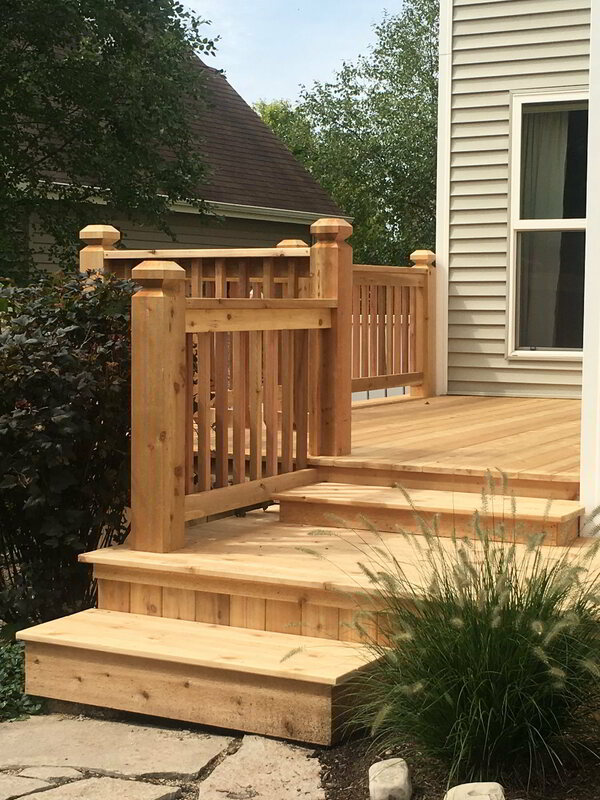 One of the easiest ways to do it is by changing your deck railing and adding deck spindles. 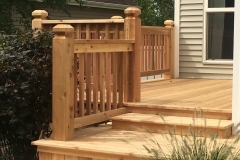 Brad F. Beller Construction is a general contractor located in McHenry County, Illinois that knows how to use spindle decorations, deck railing systems and more to bring a porch or deck back to life. Whether you just had your deck installed or you have had your deck up for a long time now and want to give it a fresh look, enhancing your decking might be as simple as putting a new railing on it or adding stair spindles to give it a new appearance. If you decide that you want to upgrade your porch or deck, Brad F. Beller Construction can come to your property and run through some of your options with you. We regularly work with customers throughout McHenry County – from Algonquin, Lake in the Hills and Crystal Lake to Lakewood, Huntley and Barrington – and you can trust our experience with installing spindle decorations, stair balusters, porch railings and more. Trying to pick out the right stair spindles or choose from a wide variety of deck railing systems can be challenging for some people, so we will serve as your guide throughout the process. Once you have decided which spindle decorations or porch railings you will like, we will handle the rest. At Brad F. Beller Construction, we pride ourselves on our excellent customer service and our craftsmanship that results in high-quality results. It doesn’t matter if you want us to tear down an existing deck and replace it with new decking, spindle decorations and stair balusters or if you simply want us to swap out your existing porch railing for a new one, we can handle any job, regardless of how big or small. When we’re done, it’ll be clear to you why we’re considered one of the best locally owned and operated general contractors in the area. Before you start selecting your new stair spindles or deck railing systems, let Brad F. Beller Construction show you why you should work with us. Reach out to us at 815-455-8051 today to schedule a consultation at your home in Woodstock, Crystal Lake or elsewhere in McHenry County.